Can you go a Christmas season without hearing “Blue Christmas” at least once? I say you cannot! This is one of those songs that grows on you over the years. 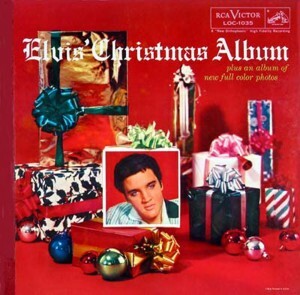 More Elvis and Rock-and-Roll Christmas hits to come – have a great day! This entry was posted in Advent/Christmas, Holidays, Music and tagged "Blue Christmas", Elvis Presley, Porky Pig. Bookmark the permalink.